Discuss an assisted living situation with your loved one and look for signs when it may be time. Do you have an elderly loved one who is still independent but starting to struggle with everyday activities such as paying bills, personal hygiene and making meals for themselves? If so, an assisted living facility may be the right choice for them. An assisted living facility is a good idea if your loved one can no longer live completely on their own, but aren’t in the position, health-wise, to need constant care and supervision or when home care is not an option. While each facility is different and have different levels of care, typical assisted living communities offer an array of services to senior citizens. 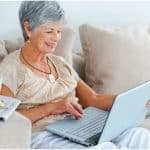 If you are unsure if your loved one is ready for assisted living, there are some signs you can look for that may signal daily tasks have started to become overwhelming for them and it’s time to consider an assisted living facility. You notice bruising indicative of your loved one falling frequently. Their refrigerator is empty or filled with spoiled food, and they are losing weight. Their house and yard aren’t as well-kept as it used to be. Your loved one wears the same clothes repeatedly or otherwise seems to be neglecting their personal hygiene. 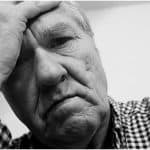 Your loved one exhibits memory loss, is depressed, confused, or is otherwise exhibiting unusual behavior. There are piles of unopened mail or a general sense of clutter in the house when there didn’t use to be. 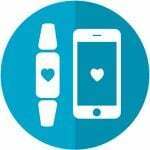 Your loved one is forgetting to take their medication or missing doctor’s appointments. They are wondering at night, getting lost or having a difficult time finding their way home. Once the decision has been made to transition your loved one or aging parent to assisted living, it is important that you help them with the changeover from their previous home to the senior’s new living space. This is going to be a very emotional time for your loved one, as they grapple with the stress that comes with moving, the sense of loss of their independent living, and the grief of leaving behind a home and community in which they have happily lived for many years. One of the most essential things you can do for them is to be there for them emotionally as they work through their feelings. You also shouldn’t hesitate to seek professional help for their depression, if needed. Also, paying for assisted living may be a concern for some. There are nursing facilities that offer flexible pricing which allows you to only pay for the care you need. For example, you might not need meals included or help with personal hygiene. Don’t be afraid to negotiate and see what offers or incentives these facilities may have once you have decided on the best one for your loved one. You may even be able to share a room which will certainly save you money. You can also consider exploring other options such as Veteran’s benefits, borrowing against a home mortgage or life insurance policy. There is also a very practical task you can help your loved one with at this time, and that is to assist with sorting through their possessions. 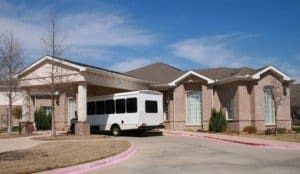 Once you have chosen the assisted living facility, and have some idea of the space your loved one will have and what they will be able to take with them, many decisions will need to be made. You can help your loved one select items to donate and which to pack and move, taking care to preserve their most precious memories. Once your loved one has moved, you can ask if they are comfortable with you helping them personalize and decorate their new living space. A mix of things from their previous home, along with some new items that fit the personality of their space, may soften the transition somewhat. Additionally, you should be sure to call and visit as often as possible to remind your loved one that no matter where they may be living, they are loved.